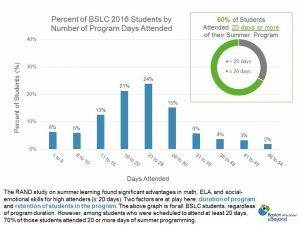 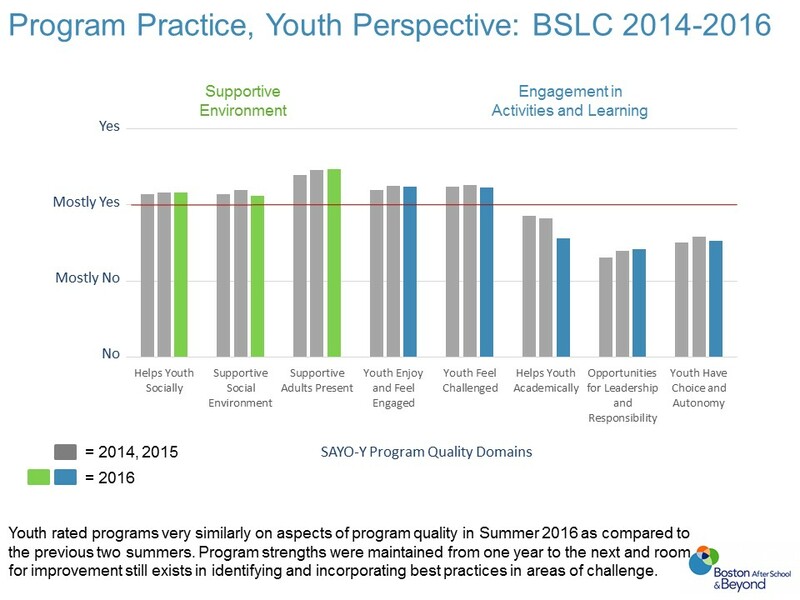 On average, observers and youth rated programs at or above the benchmark in 9 out of 10 areas of practice that build ACT Skills. 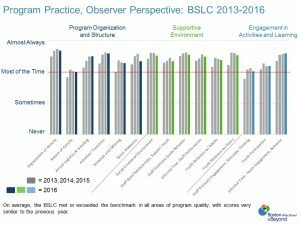 66% – 91% of programs hit the benchmark of quality practice, depending on which skills the practices are meant to build. 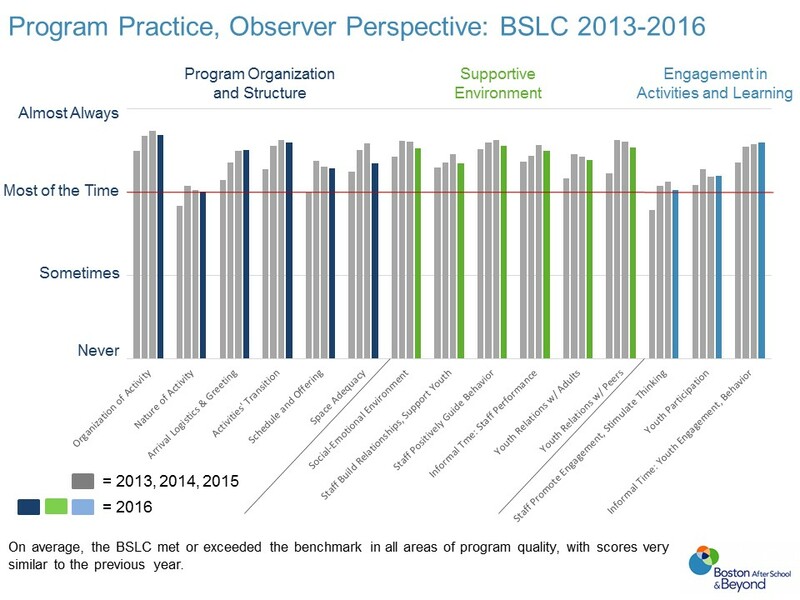 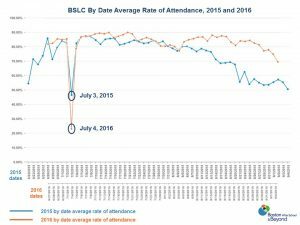 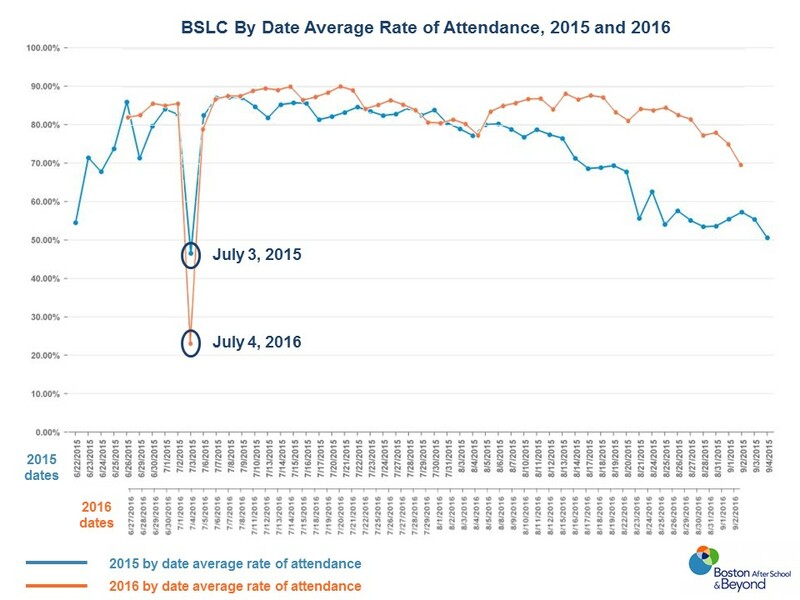 Over time, the growing BSLC has maintained strong positive trends in above-benchmark performance.